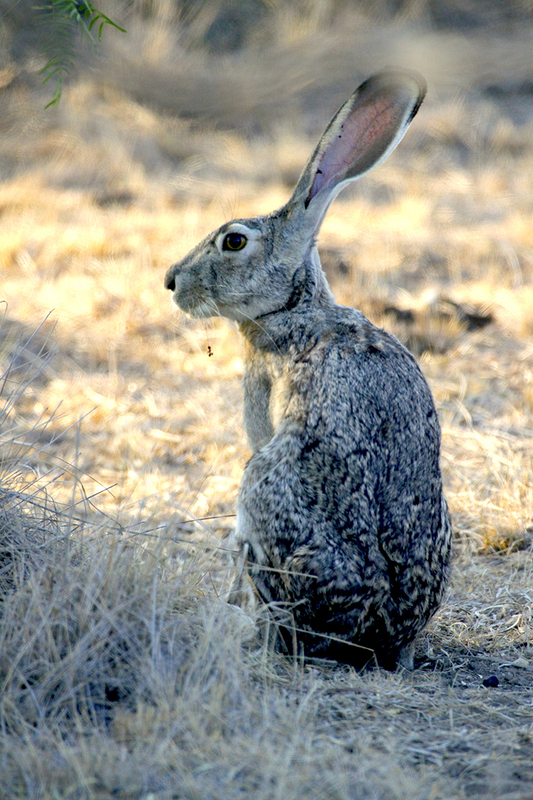 One of North America’s most overlooked game animals are jackrabbits. Up until the 1980s, these big hares were a standard winter game from the Plains states west to California. A 40-grain .22 Long Rifle properly placed is more than adequate for collecting the basic ingredient for hasenpfeffer (rabbit stew,) but that main ingredient often refuses to pose within reasonable range of a .22 Long Rifle. Switching to a centerfire .22 cartridge — say a .222 Rem., .223 Rem. or .22 Hornet — extends effective range to 200 yards or more, but the resulting impact could make premature stew of the stew meat. Shotguns can be one answer if jacks are leaping within about 30 yards before streaking off, but a better option is today’s .17 rimfires. The 2,500 fps .17 HMR and 3,000 fps .17 Winchester Super Magnum shoot flat, and hit with authority to 150 yards and 250 yards respectively. At these velocities even the little 17-grain and 20-grain bullets can damage quite a bit of meat. The solution is headshots. Most well-built rifles chambered for either .17 rimfire are accurate enough for hitting a jack’s head out to 150 yards at least. If yours does, you’re in business. Now all you have to do is train to shoot accurately from field positions, usually sitting or kneeling with a bipod of some kind. Most jacks are discovered while walking in their habitat, usually grass or sagebrush pastures. When they jump and run, you should sit or kneel and watch their progress. Unless they’ve been hunted hard in previous days, they typically stop inside of 200 yards. By the time they do, you should be in position to steady your shot — and make it. To do this with complete confidence, burn a bunch of ammo at the range while shooting from various distances from 50 yards out to 200 or so. Mark your hits on paper by writing the distance beside each hole. After a few dozen of these you’ll absolutely know and believe how much those little bullets DO NOT rise or drop from line-of-sight. You should be able to hold dead-on a rabbit’s head to 125 yards with the .17 HMR, to about 200 yards with the .17 WSM. Your range results should also cement in your mind your ability to hit a baseball-sized target while sitting or kneeling. That’s the kind of confidence — and skill — you’ll need for enjoying a successful jackrabbit hunt. Skin your hares while they’re still warm. Cut the hams, shoulders and backstraps free and prepare them according to a suitable rabbit stew recipe. Contrary to old wive’s tales, jackrabbit flesh is not tough and “stringy.” And it doesn’t taste like sagebrush. Head shot and neatly cleaned, hares make a delicious stew. Enjoy the winter hunting challenge and enjoy the hasenpfeffer.